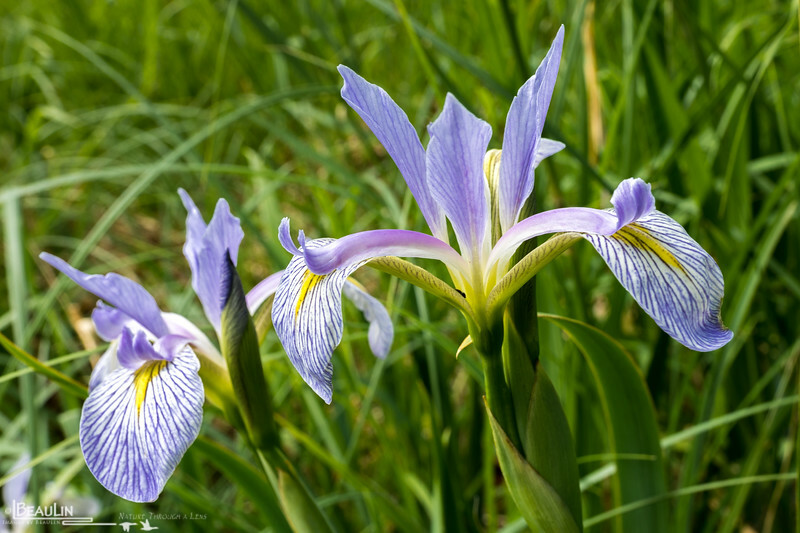 What do you do when you see these beauties (Blue flag iris - Iris versicolor) in full bloom while traveling across the landscape? Why, stop the truck, get out and snap a shot so you can move on without being a distracted driver the rest of the day! Taken at a wildlife management area near Cushing. You can find this relatively common species blooming from late-May through June along the edge of many emergent wetlands and sedge meadows.